Welcome to today’s featured gallery, a two-fold guide for anyone looking to purchase a new lamp. We will break down the various designs of both table top and floor standing lamps, giving examples of multiple style options for each category. 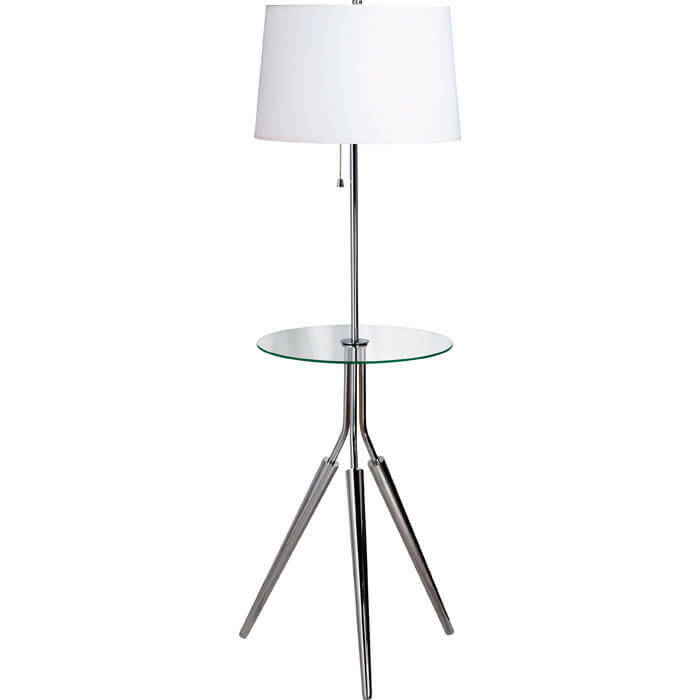 Our top featured lamp, pictured above, is an elegant modern floor lamp with chrome finish and a seamless glass table. Within the two main categories, table and floor lamps, we have illustrated the varying designs with a pair of models from different stylistic categories. We hope that this guide helps illuminate the vast sea of buying options, and can narrow your search for the perfect lamp. Table lamps come in a smaller variety of sizes, albeit crossing a massive range of design and stylistic shifts. Here we will examine each type of type of table lamp, with examples in varying styles. Standard type lamps are the most common found anywhere. Styles will run the gamut from old fashioned to futuristic, but the basic design remains a tall body with cylinder lampshade surrounding. 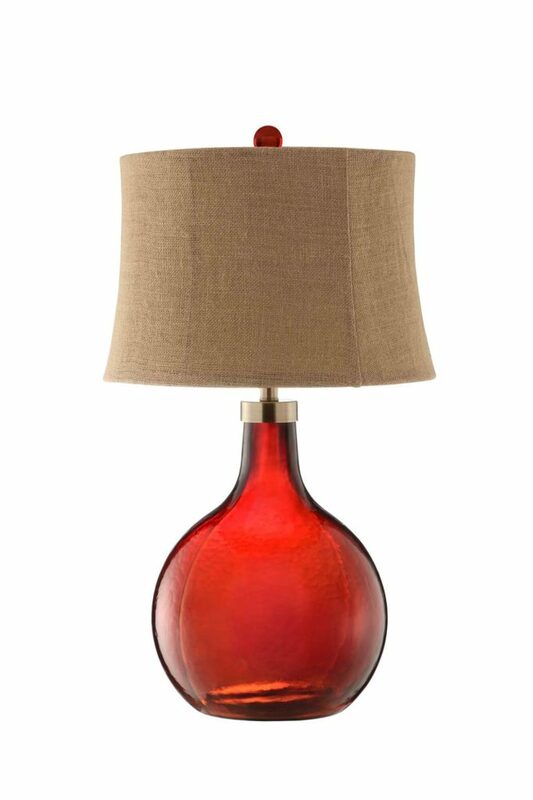 Our first standard table lamp is a traditional styled model, with rounded glass base and straw colored shade.